$450. 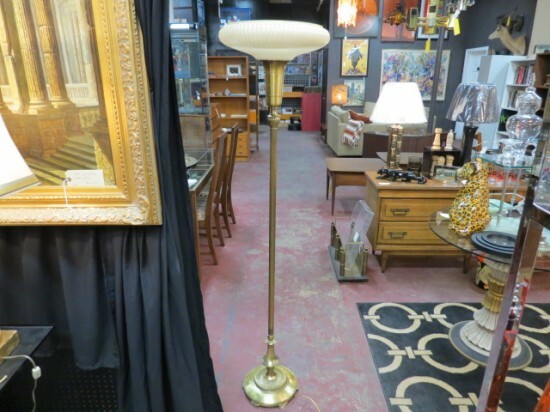 Vintage antique brass torchiere floor lamp, c. 1940. Round base with ridges, tall stem with decorative ridges and swirls at the top. Torchiere lamp base with beautiful ridged cream glass shade. All in brass. Perfect for your living room. Excellent condition.16.5in wide, 67in tall.